Spatial Coverage is exactly "Ontario--Kingston"
Two Kingston scenes. 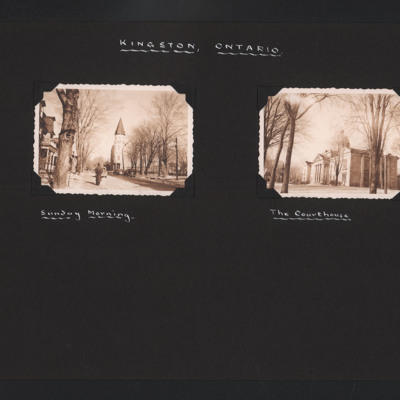 The first is a street scene with trees, three cars, a pedestrian and a church. Captioned 'Sunday Morning'. The second is a public building taken through trees. Captioned 'The Courthouse'.